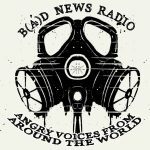 Tomorrow, from 8am to 2pm EST, the International A-Radio Gathering participants, the folks who bring you the monthly B(A)DNews: Angry Voices From Around The World podcast will be producing 6 hours of live broadcast, featuring updates from Rojava, Turtle Island, occupied Mapuche territory in so-called Chile, Russia, Europe and more! 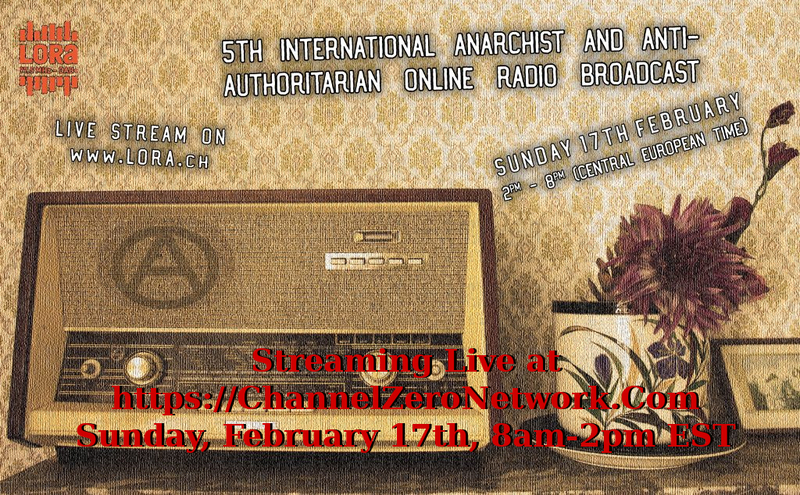 We at the Channel Zero Network will be relaying the broadcast via https://channelzeronetwork.com as well. There’s even a CZN player up at https://itsgoingdown.org! This month, The Final Straw Radio shares part of an interview with Delee Nikal, a Wet’suwet’en community member from the Gidimt’en clan and the Cas Yikh House, a First Nation in so-called British Columbia, Canada. On December 14th, 2018, the Canadian Supreme Court pushed through an injunction on behalf of Coastal GasLink (owned by TransCanada) threatening the Wet’suwet’en community defending its land of the Unist’ot’en clan with police invasion and extending it to land defenders at Gidimt’en Camp. Gidimt’en camp was invaded by Royal Canadian Mounted Police on January 7th, although the Unist’ot’en Camp stands. More information can be found at https://unistotencamp.com, https://wetsuweten.com and keep up by following https://sub.media. To hear our original interview, visit our website. In Serbia people express their dissatisfaction with the government on the streets of Belgrade and other cities for more than one month. We manage to make interview about the situation – why heave the protests started, who are the protagonists, is there a potential for anarchist involvement – with comrade from Anarcho-syndicalist initiative (ASI) in Serbia. The show is divided with some music and a poetry break in between. 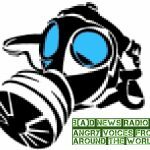 This month on B(A)DNews: Angry Voices From Around The World, participants in the A-Radio Network provide you with the news & views from our homes for the month of October, 2018. You can hear the audio by clicking this link to the mp3 or you can play or download the audio directly from Archive.Org here alongside the English-language transcript (linked soon). conversation with comrades from cluj, in romania, about general anarchist situation, important topics for the movement there and about initiatives in city of cluj with special attention to the newly established printing collective. struggle in on the border of Croatia and Bosnia in the Balkans. First, we’ll hear an interview with an anarchist recently returned from Rojava, the autonomous regions in North Western Syria where an anti-capitalist, ecological and feminist social revolution has been taking place while first fighting off Daesh or ISIS militants and now those fighters sent back in alongside troops from the fascist Turkish state under Recep Tayyip Erdoğan. 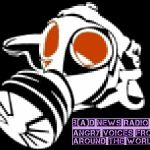 The interview was conducted by comrades from Črna Luknja, comrades who first aired during the epic 8 hours of live radio from the 4th International Anarchist and Anti-Authoritarian Radio Gathering in May in Berlin, 2018. Črna Luknja, is based in Ljubljana, Slovenia, and airs their content (sometimes in English) can be found at http://radiostudent.si/druzba/crna-luknja. To hear more audios from anarchists engaged with Rojava, you might consider checking out the podcast Vendenga Rojava. 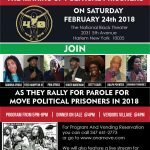 And for more resources from this perspective, check out http://internationalistcommune.com and check out their Kurmanji (or Kurdish) learning resources, updates on the situation there, ways to donate and ways to get more involved in the struggle in Rojava. (https://enoughisenough14.org) and search for “emergency call sos team bosnia”. There you will find donation options for the efforts of SOS Team Kladuša as well as for Cars of Hope, which coordinates needs and haves to alleviate the suffering imposed by borders and move people. process of legalizing some squats. With the end of the airport, less radical support in the movement drifted away and evictions began in earnest. Klaxon folks talk about the role their station plays in amplifying the voices of people on the ZAD who might intimidated in publishing their views on the website or in their newspaper or at public meetings because of intersections of class, race, gender, education, language access and such, as well as the role the station plays in resisting the evictions. You can hear Klaxon by visiting https://zad.nadir.org and clicking the listen link on the right side of the page. Ps, it’s in French. This week we’re just back from a few weeks in Europe, most recently attending the 3rd International Anarchist Radio Conference at Radio98FM, an anarchist pirate radio station of 14 years in the squatted studios at the Polytechnic University in Zografu neighborhood in Athens, Greece. In coming episodes we’ll be releasing some of the interviews that we had with folks who we met between that event and the Paris Anarchist Bookfaire the week before. 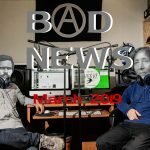 Here is the live radio show we helped conduct on April 30th with the participation of all of the attending projects on topics ranging from misogyny in the anarchist scene to discussions of technology, from eco-struggles around the world to prisoner resistance. 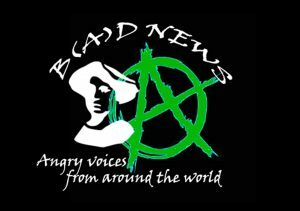 Soon, we’ll have an Intl Anarchist Radio website, following will come a streaming radio station and a monthly 1.5-2 hour news blast from all of the projects called B(A)D N(E)WS. More info soon on that. This week features 2 conversations Bursts conducted at the radio conference. 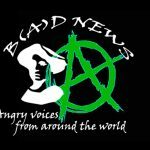 First, we spoke with 2 buddies from Crna Luknja, an anarchist radio show in Slovenian and English broadcast on Radio Student in Lubljana, Slovenia. 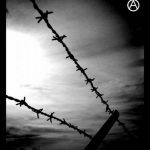 The friends talk about their organizing with the Balkan-based Federatin of Anarchist Organizations, affiliated with the synthesist International of Anarchist Federations, sometimes called IFA. 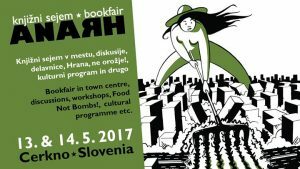 An Anarchist Bookfaire is being organized by the friends next weekend in Cerkno, Slovenia as well. Since Asheville just hosted it’s first bookfaire we thought this’d be a timely audio to play. The second segment was with Elisa. Elisa is an Anarcha-Feminist organizer in San Salvador, the capital of El Salvador. She talks about her radio project, Rosas Negras found at the online feminist radio station, La Radio de Todas. She speaks about Feminist organizing in El Salvador, the state of anarchist organizing there, the Anarchist Federation of Central American and Caribbean (FACC), organizing to change abortion laws in El Salvador, and a lot more. Before we start the episode, I’d like to say a special hello to friends new and old visiting Asheville for the Anarchist Book Faire we are just finishing up today. We are only getting stronger by joining together in this way and sharing our skills and hearts. If you’re still in town, check out the last few workshops at Firestorm. 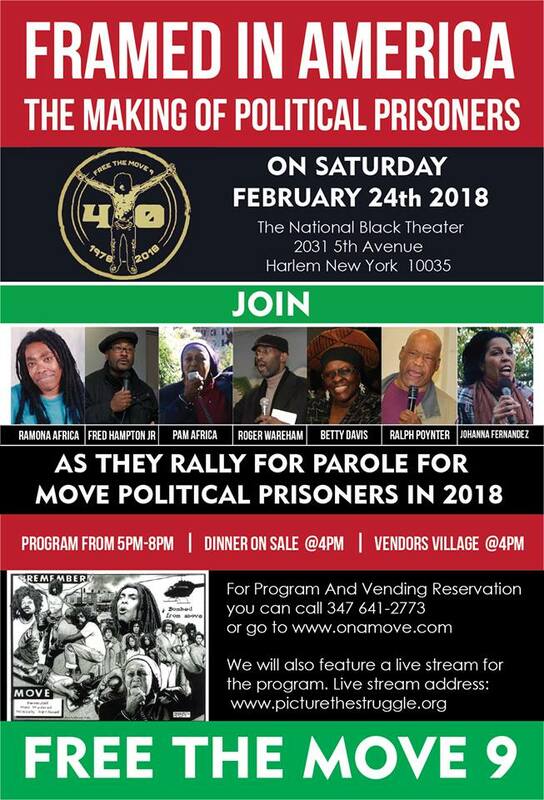 At 3pm there is LGBTQ Advocacy as Abolition by Tranzmission Prison Project, followed at 4pm by a screening of the documentary ProjektA and discussion called Mutual Aid: New Bonds, New Revolts and this will be capped off by the Blue Ridge Anarchist Black Cross (yaaaay) prisoner letter writing from 6-7:30pm. Because the conversations are in English with people who are not native English speakers, the conversations may be hard to understand. But, their English is better than my Slovenian or Spanish, so it’s in English! If you misunderstand the chat, consider listening to the archive or podcast later with headphones. There’s no Sean Swain segment for this week, but stay tuned for future outbursts by the main Swainiac himself.